Very private and adjoins thousands of acres of public land with private access to Pine Mountain. This is the perfect fit for any outdoorsman, horseman, ATV enthusiast, hunter, or a buyer that just wants extreme privacy. Located just 30 minutes outside Bend. 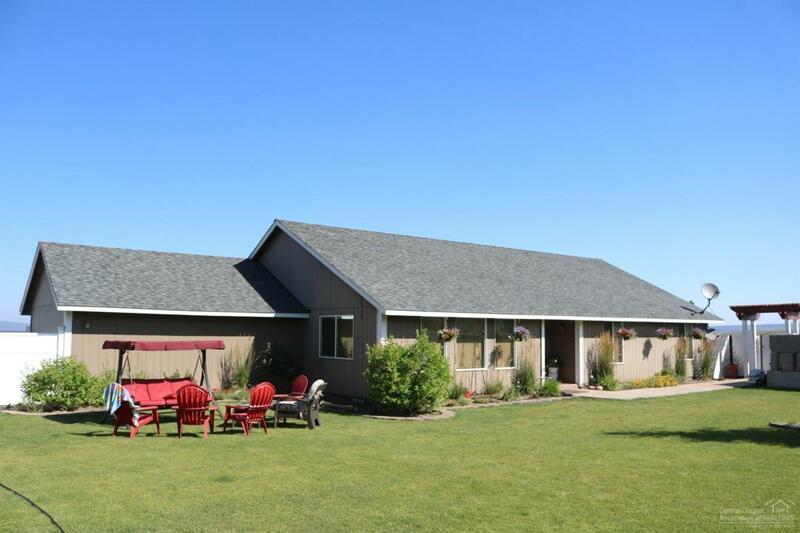 This property features a 48'by72' shop, a 72' by 128' foot indoor arena with an apartment & 58'by84'horse barn. The 440 acres of rangeland support livestock, mule deer, antelope and Rocky Mountain elk. Includes 2 LOP Tags (Buyer to confirm with ODFW). Leased Components Propane Tank. Blm Access Right Of Way Will Need To Be Transferred To New Owner.